Holidaymakers taking a trip this half term should cast an eye over their travel policies long before they head for the airport. If they simply buy on price they could find their cover falling woefully short if they need to claim. Industry figures show four in 10 buying single trip insurance opt for the lowest level of cover offered. The Financial Ombudsman Service, which mediates on complaints between customers and insurers, says buyers must check a policy’s fine print. This is because most of the 900 disputes it ruled on in the final quarter of last year centred on misunderstandings over what a policy covered. One element of cover often misunderstood is the right to financial recompense if a policyholder can no longer travel. Medical emergencies abroad are expensive – and make up the largest portion of travel insurance payouts. But many holidaymakers with health conditions take the risk of not buying travel cover simply because they are scared off by the high premiums quoted. Daniela O’Brien suffers from asthma and a nut allergy. She was so fed up with being quoted sky-high premiums – usually £600 plus – that a couple of years ago she took the risk of travelling to the US without cover. Cancer sufferers are being offered reductions in premiums by specialist travel insurer AllClear after it found medical expense claims were lower than expected. A single trip policy to France for a 66-year-old diagnosed with lymphoma in the last five years would now pay £156 – 12 per cent less. Anyone struggling to find affordable cover can try a specialist broker. Use the British Insurance Brokers’ Association’s Find a Broker service on 0870 950 1790 or visit biba.org.uk. This is where Rebecca Kingsley came unstuck when her policy refused to meet her claim even though she was forced to cancel her holiday through no fault of her own. Insurance small print was the last thing on Rebecca’s mind when she organised a romantic weekend away to Dublin with her longstanding boyfriend. The 23-year-old wanted to celebrate Valentine’s Day 2016 in style. 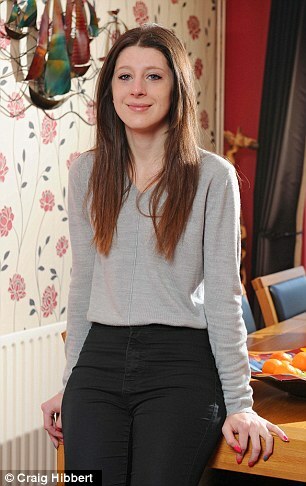 She paid for the flights, a hotel and pre-booked tickets to the city’s zoo at a total cost of £550. But a few weeks later her partner dropped the bombshell that their relationship was over. Although upset by the break-up, Rebecca kept a cool head and set out to claim on her travel insurance for the cost of her dashed plans. Rebecca had purchased a standard single trip travel insurance policy through a price comparison website. But like many travellers she opted for one near the top of the list, indicating it was keenly priced. She paid some £10 – but the plan offered no cancellation cover at all. Research conducted by website GoCompare indicates that some bargain policies do not offer cancellation cover as standard – 25 of around 939 single-trip products searched. It also found that the maximum level of cover offered differs widely, from £500 to £20,000 a person. ANOTHER area to watch is the excess – the amount a policyholder must pay towards each claim. Some insurers charge nothing while others expect policyholders to contribute as much as £250 towards the bill. 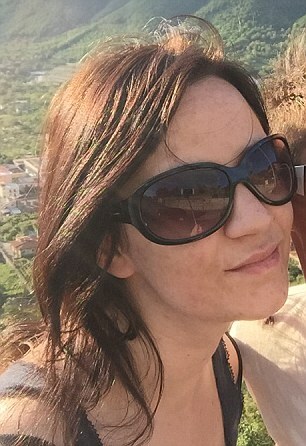 When she attempted to recoup the cost of the holiday, Rebecca only received £90 back for her flights – and that was from the airline. After reading her travel policy’s wording she discovered she was not covered for cancellation and was left out of pocket by about £450. Most standard insurance plans will cover the cost of cancelling a holiday if the policyholder or travelling companion falls seriously ill; a close relative dies; the traveller is called up for jury service; made redundant; or has a problem with their house such as a flood or burglary. They may also be covered if their passport is stolen within a week of departure (so long as the theft is reported to the authorities). None of these will be covered if they were known before you took out the cover. The consequences of an airline cancelling flights – as Ryanair did to thousands of passengers last year – would not be covered by most travel policies as it is up to the airline to compensate customers. Airlines should refund the cost of flights or find alternatives. They may also offer additional compensation. Macrae recommends that a traveller looks for a policy that includes cancellation for any situation ‘beyond reasonable control’. She maintains Rebecca would have been covered under such a policy as she had booked her trip in good faith and did not expect to be jilted by her boyfriend. As few as five per cent of travel policies are thought to include such a clause. Providers include Postcard Travel Insurance and Saga. Post Office and Marks & Spencer also offer wider cover than many. Not all policies will cover the cost of pre-paid excursions such as Rebecca’s planned trip to the zoo. It is important to look for this in the small print if they are an important feature of a holiday itinerary. Even top notch cancellation cover will have restrictions. Policyholders will need to provide evidence to back up any reason for cancelling if requested – and there will be no payout simply because a person no longer feels like going away or cannot afford to take the trip any more. More than 10 per cent of policies offer a discount to buyers opting out of cancellation cover.